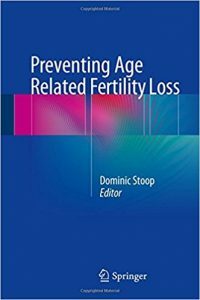 This unique book provides expert advice on all the different aspects related to fertility preservation for age related infertility. Although, there is a lot of information available on the Internet and in books about fertility preservation for cancer treatment, little information is available for young women that are confronted with a ticking biological clock. While men have been able to cryopreserve sperm since the 1950s, women have only recently gained the opportunity to preserve their gametes through the egg vitrification technique. Therefore, many women confronted with a risk of imminent fertility loss, such as chemotherapy, are now freezing their oocytes instead of embryos. Successful oocyte cryopreservation offers them a reproductive autonomy independent of men. Moreover, it now enables single women to preserve their reproductive chances. The most important threat for female fertility is ovarian aging as it causes a progressive decline in the reproductive chances. The general trend to delay motherhood due to societal changes confronts many women and couples with a diminished fertility. This fertility problem can often not be cured by in vitro fertilization, which makes that an increasing number of women require oocyte donation as the treatment of last resort. In the last few years, fertility centres around the world have started to offer the opportunity cryopreserve oocytes to young, often highly educated, single women. This patient population is unique as compared to other patients in the fertility clinic as they perform a preventive treatment. They are neither confronted with infertility nor are they undergoing a treatment that might cause an imminent treat to their fertility.